Welcome to my gear guide to help you make the right decisions when it comes time to purchase photography equipment. I put this guide together to help you understand what I would recommend you purchase and why, so you can make an educated decision when it comes to photography equipment. This guide is also great to share with anyone wanting to purchase something as a gift, or wanting to know which piece of gear to buy next. Easily share this page by clicking on one of the social media buttons to the left or below. If you have any questions in your quest to find the right gear, click ‘contact’ at the top of this page to shoot me an email. I am happy to answer any questions you may have. Click an icon below to quickly move to a specific area. Whether your budget is large or small, if you need a new camera then this section is for you. Scroll down and find the perfect camera body for the photographer on your list. 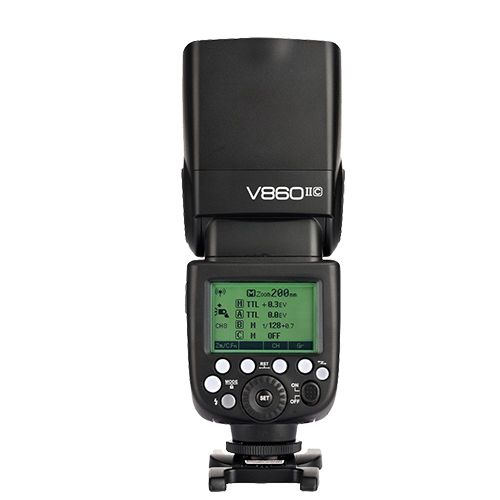 The camera body is an essential component of photography, therefore purchase the right one is crucial. Below are some of the basics to know when looking to buy the right camera body for you. Megapixels: This will determine the size of the file you end up with which determines how big of a print you can make. All the cameras listed below are at least 24 megapixels, which is plenty; -unless you plan to do billboard work. Be careful, too large of megapixel and will slow down your editing workflow as your computer tries to deal with the massive image files. ISO: The higher the ISO that the camera can achieve, the cleaner the image will be in darker situations. However, if a camera can hit 25,600 ISO, it doesn’t mean you should shoot there. But often it means that at 6400 ISO the files will be clean from digital noise. Sensor Size: Some cameras have a cropped sensor, while some have a full frame sensor. I would go into the details here, but if you have the money to do so, I would recommend getting a full frame sensor. The reasons for me are two-fold: First, it is easier to achieve that beautiful depth of field, and second, digital files have less digital noise at higher ISO’s. The Nikon D5600 is an excellent cropped sensor camera. If you can’t afford a full-frame camera, this camera will be a good choice for you. It has a 24.2-megapixel sensor and a max ISO of 25,600. 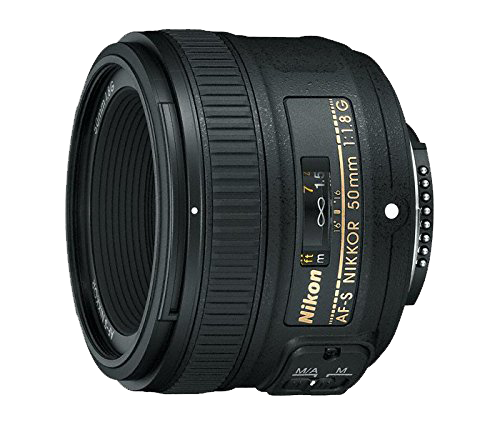 To keep costs low, Nikon has removed the focusing motor from the camera body which means every lens you purchase will need to have the AF-S designation. This camera features wifi and Bluetooth so you can easily share images you’ve taken. The Rebel series from Canon is their beginner line of cameras. This camera has a cropped sensor and is an excellent choice if you can’t afford a full frame camera. This camera features a 24.2-megapixel sensor and a max ISO of 25,600. The Rebel T7i features built-in wifi, NFC, and Bluetooth which allows you to quickly share images you’ve taken with smartphones and tablets. 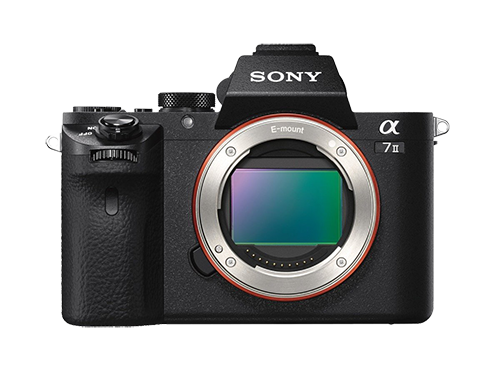 The Sony a7 is an awesome starter level mirrorless camera for those wanting to get into the Sony brand. Sony makes excellent cameras and is most known for their pioneering efforts in the area of mirrorless cameras. This camera has a cropped 24.3-megapixel sensor and a max ISO of 6400. This camera also has an OLED viewfinder, which means when looking through the viewfinder you are looking at a small screen, not a mirrored view. 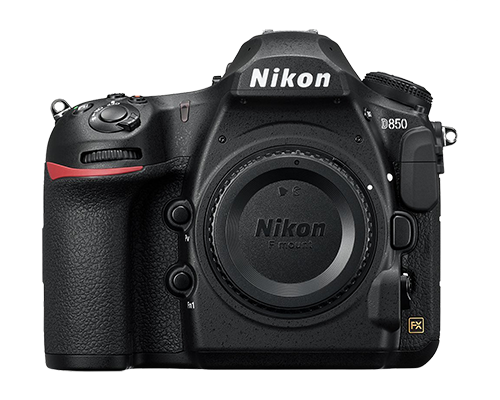 The Nikon D610 is the camera I use on a daily basis and is an excellent and affordable camera. It features a full-frame 24.3-megapixel sensor and can reach an ISO of 25,600. This is Nikon’s most inexpensive full-frame sensor camera and one that I would recommend to anyone. One drawback is the focus system, which is better on higher-end Nikon cameras, but it has worked fine for me. 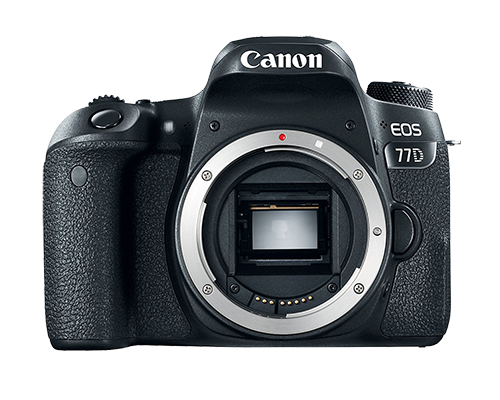 The Canon 77D is a cropped 24.4-megapixel sensor camera capable of a max ISO of 25,600. This camera is an excellent choice if you want more than a starter camera, but can’t afford a full-frame Canon camera. It features wifi, NFC, and Bluetooth connectivity allowing you to share images quickly. 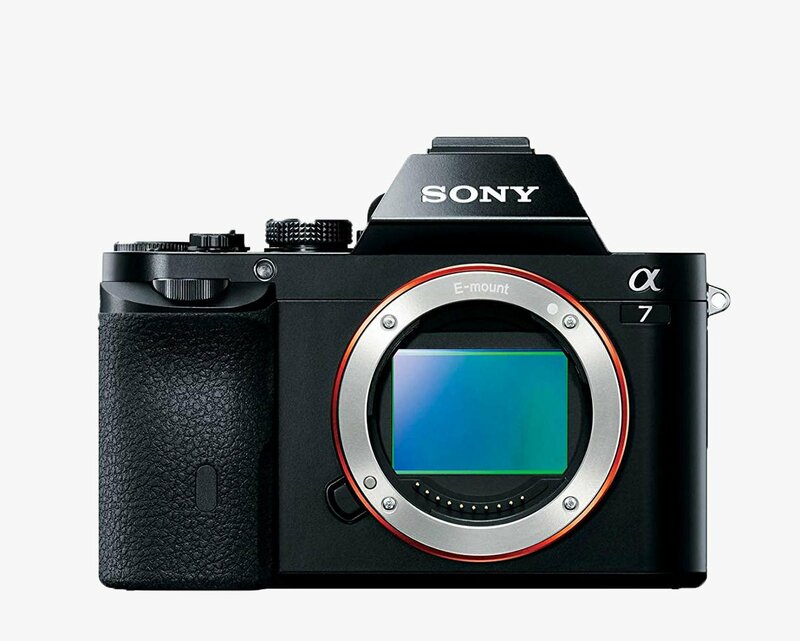 The Sony A7II is a full frame, mirrorless camera which allows for a smaller, more compact camera body. It features a 24.3-megapixel sensor and a max ISO of 25,600 for clean and beautiful images even in low light. It also features image stabilization built into the camera, which allows you to have sharp photos even at slow shutter speeds. 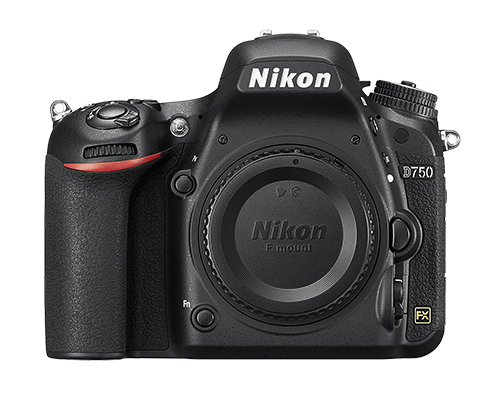 The Nikon D750 is a full frame sensor camera featuring a 24.3-megapixel sensor and 51,200 max ISO for better images in low light. This camera features faster focusing and processing for a faster photographic experience. It also features built-in wifi allowing you to share images quickly. 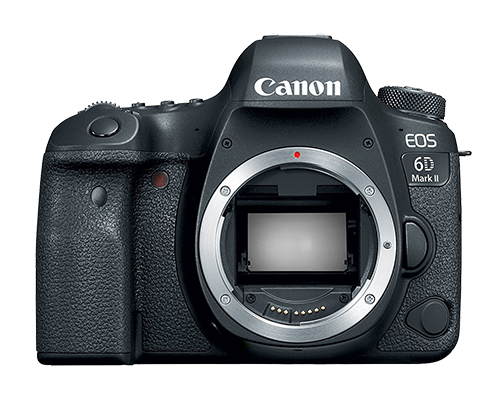 The Canon EOS 6D Mark II is a full-frame camera with a 26.2-megapixel sensor and a high ISO of 40,000 for beautiful images in low light. 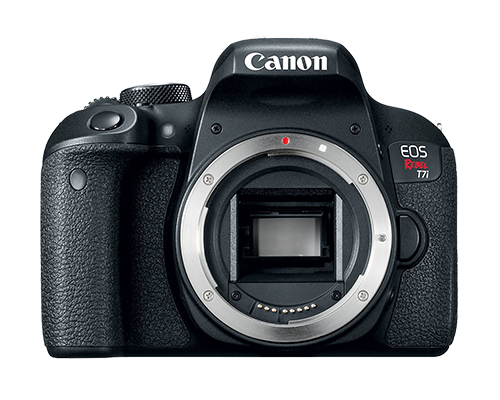 It also features a better focus system and faster processing speed than the EOS 77D. 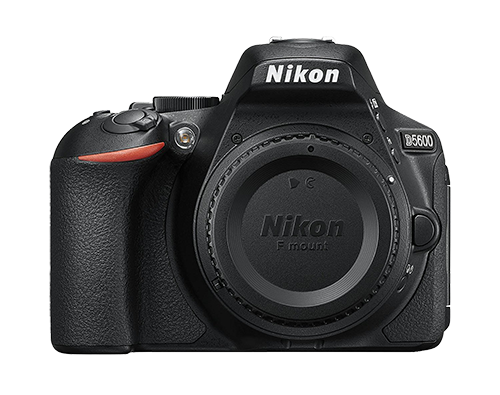 This is an excellent camera both for photography and for videography. This is Nikon’s latest camera and is difficult to get your hands on. It features a 45.7-megapixel sensor and a max ISO of 102,400 for beautiful low light images. 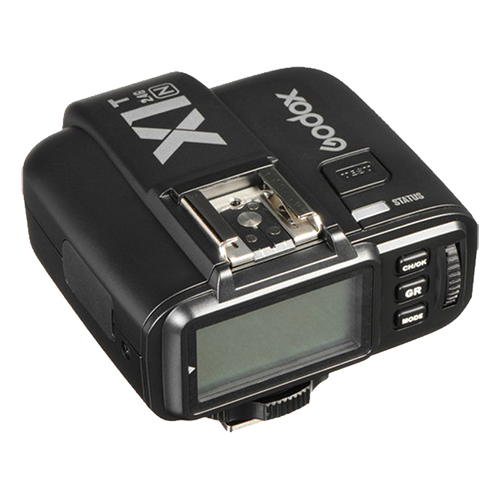 This camera acheived the highest rating of a DSLR ever at DxO Mark, an independent camera testing company. This camera features Nikon’s top of the line focusing and processing systems for lightning quick shooting. Notice that none of the camera’s listed above come in the camera kit that includes lenses? This is because the lenses included in kits are most often, lower quality lenses. You would be better to purchase lenses separately. This is where the rubber hits the road. For the most part, the quality of the lens will determine the quality of your images. Therefore, if you have limited money to spend, buy quality lenses first and upgrade your camera body later. 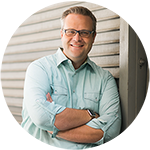 Let me help you pick great lenses at a great price. Quality camera lenses are vital to capturing beautiful pictures. Below you will find my recommendations for quality lenses. 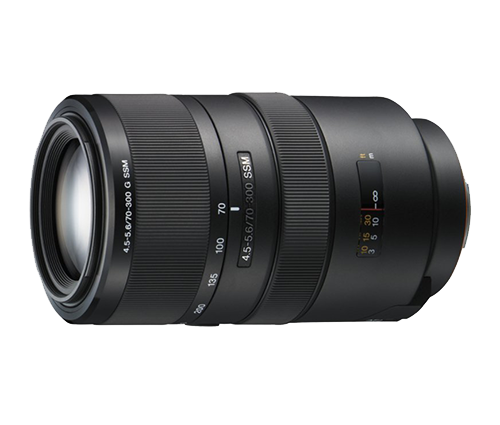 I did not recommend the trinity of zoom lenses namely the 14-24mm 2.8, the 24-70mm 2.8, and the 70-200 2.8 for several reasons. First, they are incredibly expensive. They are beautiful lenses, but not worth $2k each in my opinion. And second, they don’t hit the lower aperture’s that I like to achieve. You could purchase all three of my recommend primes lenses below for the price of one of those lenses. Personally, I prefer to shot prime (single focal length) lenses instead of zoom lenses for two reasons, the first of which is cost; -prime lenses are just plain less expensive. This is a huge deal, especially if you are just getting started in photography. And second, because I believe they make you a better photographer. People get lazy with zoom lenses; they stand there and zoom to recompose. With a prime lens, you have to move and think to recompose the shoot leading to a better, more well thought-out image. Don’t worry, if you prefer zooms lenses I give you recommendations for those as well. 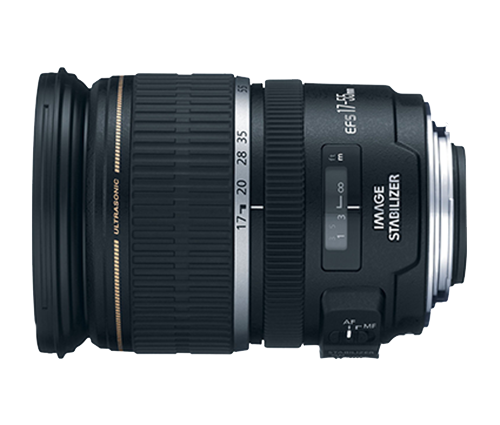 Below, you will find my recommendations for both prime lenses and zoom lenses. These lenses only have one focal length which means if you need to zoom in close, you have to walk closer! These lenses are usually less expensive and reach lower f-stops over zoom lenses. Wide angle lenses (35mm and below) are suitable for shots that require a large angle of view, like a landscape or ballpark shot. These lenses are also excellent for images where you want to show a lot of the surroundings or are working in tight quarters. Normal angle lenses (35mm to 85mm) are lenses that yield the same field of view as the human eye. These lenses are great for all types of photography because the simulate the view of our eyes and give the feeling of being there. Everyone should own a 50mm lens. Telephoto lenses (85mm and above) are excellent lenses for portraiture. They bring compression which conveys a feeling of love and closeness. These lenses also allow you to take pictures of things that are far away and have them appear close. These lenses offer an excellent mid-wide lens with a fast f-stop of 1.8 allowing you to shoot in low-light conditions and still get the shot. 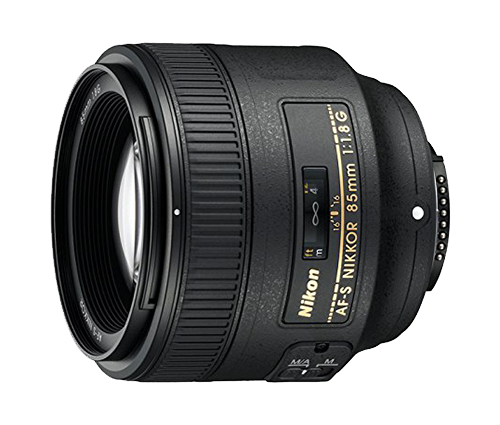 The Nikon comes with a built-in focusing motor for lighting quick focusing. 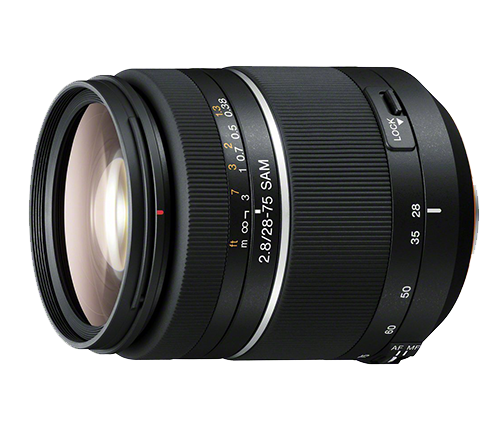 Sony doesn’t offer a fast and wide lens at a low price, so I recommend the Tamron, which is a great lens. If you are purchasing only one lens, this should be it. Every photographer should have a 50mm 1.8 lens in their camera bag. These lenses are so versatile! They are excellent for family, newborn, wedding and even landscape photography. 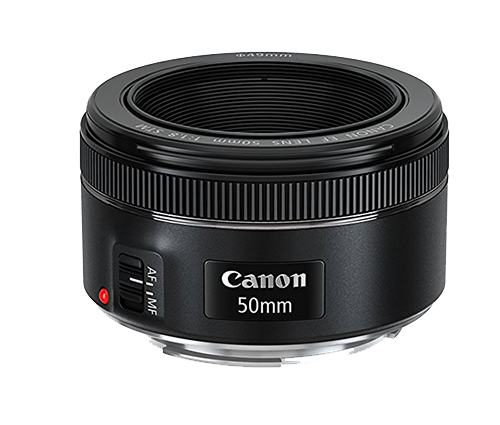 The 50mm angle of view mimics what our eyes see, so it is an angle of view we are all comfortable with which yields images that are pleasing to the eye. The 85mm 1.8 is my go-to portrait lens. 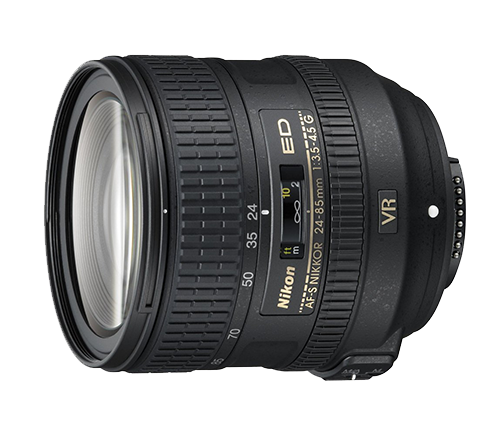 As a portrait photographer, I use this lens for around 80% of my images. The 85mm is a perfect telephoto focal length that allows you to get some beautiful compression in your pictures, without having to be too far from your subject. The 1.8 aperture also allows for stunning depth of field. There are more expensive f1.4 versions of these lenses out there, but there is no reason to spend the extra money. These lenses are capable of delivering stunningly beautiful images every time. 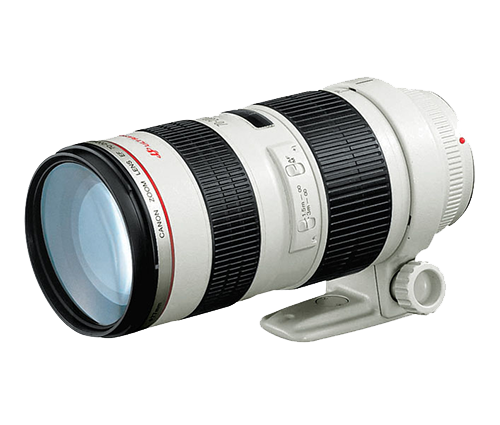 Zoom lenses have a range of focal lengths that each lens can achieve. 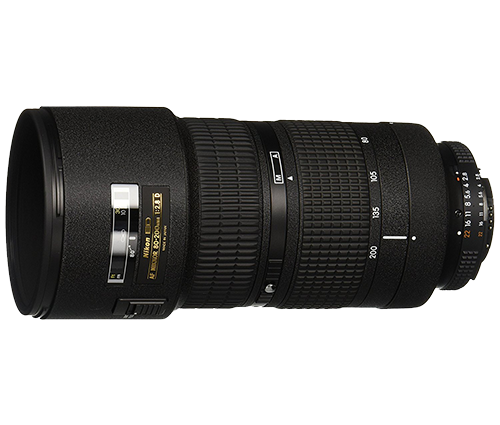 Zoom lenses tend to be heavier, more expensive and less able to produce fast apertures. They are perfect for situations where you can’t carry multiple lenses with you, or when you need to change focal lengths very quickly. 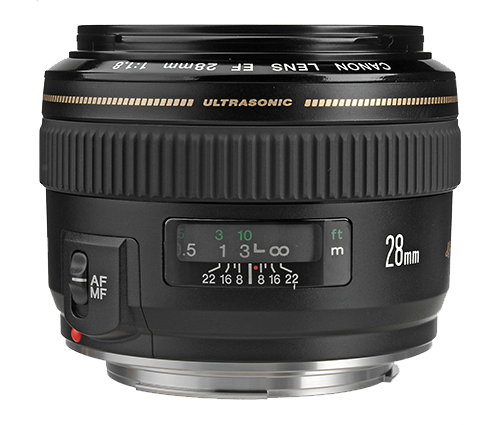 With a range of 24-85 and a relatively fast aperture of 3.5-4.5, this is a great all-purpose lens. This is a great lens. 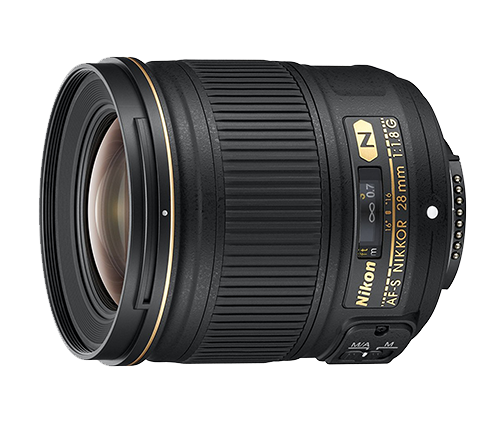 With a fast aperture of 2.8 and a great zoom range from 17mm-55mm, this lens can cover a lot of needs. 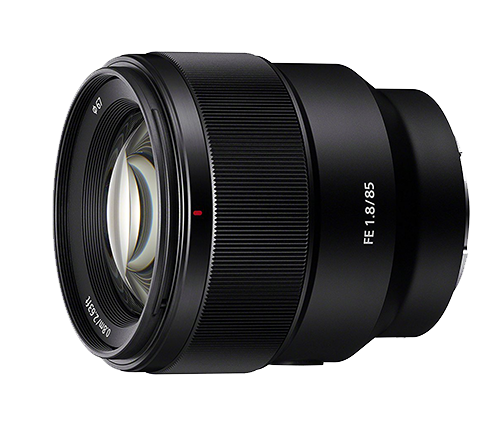 This is a must have Sony lens, as it covers such a useful range of focal lengths all while achieving an excellent 2.8 aperture. This is not the latest version of this lens, but it is still in production because it is such a workhorse. 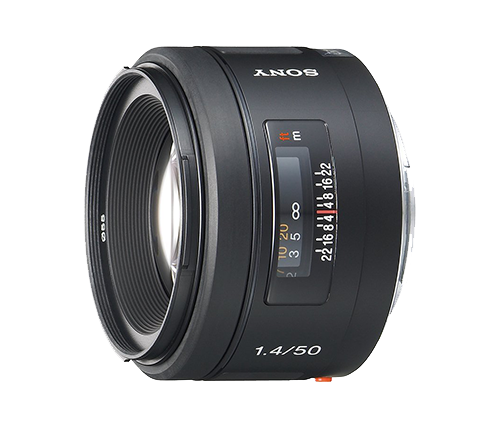 This lens will give you beautiful images with excellent depth of field. Of all the zoom lenses, this is the best of the bunch. 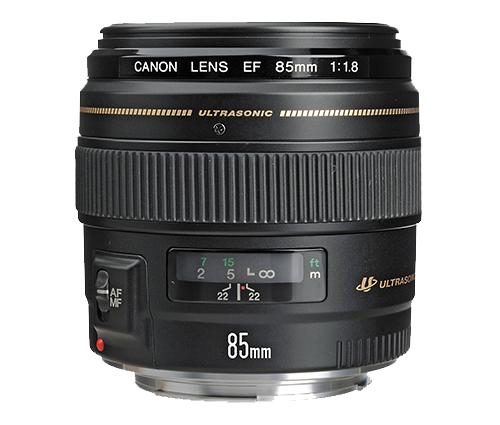 Best price coupled with excellent focal range and a low aperture. This lens would be a great gift choice. This Sony lens has an excellent zoom range but doesn’t quite have the aperture range. Still, it is a great lens at a great price. 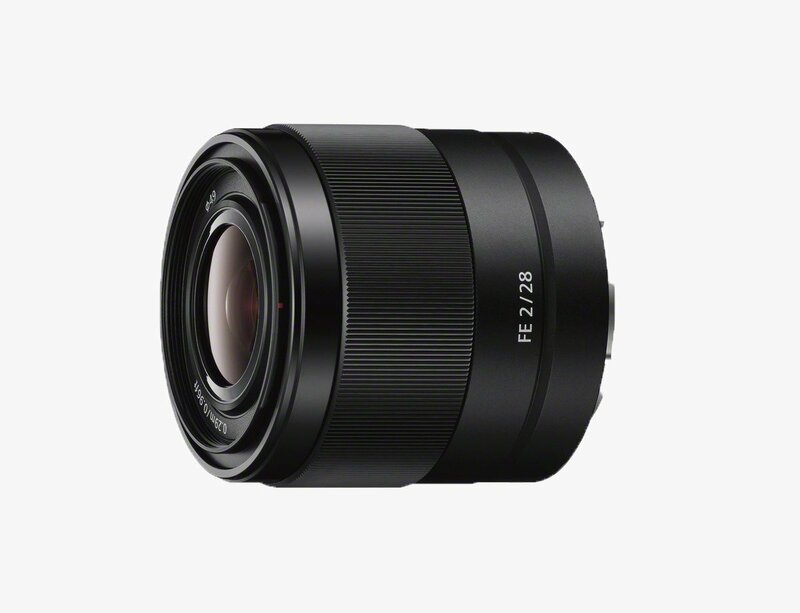 You’d spend over $2k to step up to the 2.8 lens. Flashes and strobes are the least talked about, yet essential and needed piece of photography equipment. People are often scared to stray from the path of brand name equipment. Let me put your mind at ease and save you some money with my suggestions below. Whether you are new to flashes and strobes or a pro, the suggestions below may surprise you. I believe in saving money and finding good alternatives to name-brand equipment. Below you will find what I use, even though I own many name-brand flashes and strobes. The reason? Cost and ease of use. 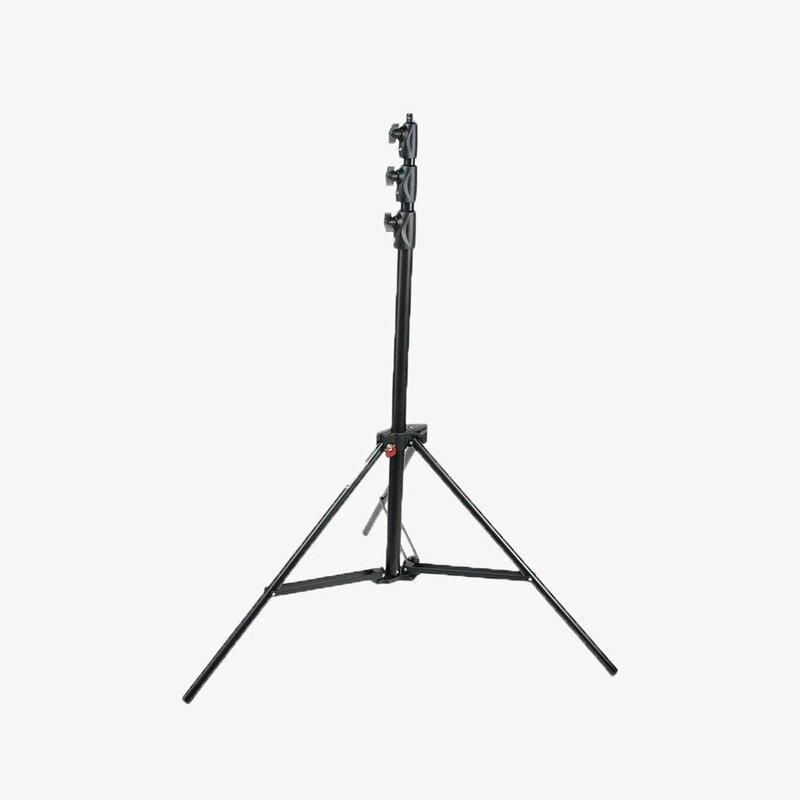 Below you will find on-camera flashes as well as studio strobes along with radio receivers that make it easy to create beautiful light anywhere. No longer be afraid to experiment with off-camera lighting, because the equipment listed below is free from cords and free from hassle. They just work. As with everything, if you have questions, hit the ‘contact’ button above and I will help you move down the path of off-camera lighting. I have several of these flashes, and they work flawlessly. They feature High-Speed Sync so you can use them in bright conditions and a Guide No. 60 (this speaks to their brightness level.) These flashes will outperform far more expensive name-brand flashes. 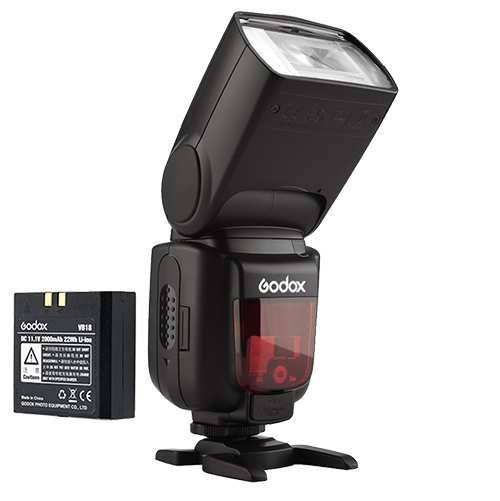 These flashes use AA batteries, which is suitable for those who are seeking a flash where batteries and their replacements are plentiful. The negative of using a flash that uses AA batteries, is that recycle time and number of pops is limited. These flashes are compatible with the radio transmitters displayed a little further down the page. I have several of these flashes as well, and they work flawlessly. They feature High-Speed Sync so you can use them in bright conditions and a Guide No. 60 (this speaks to their brightness level.) 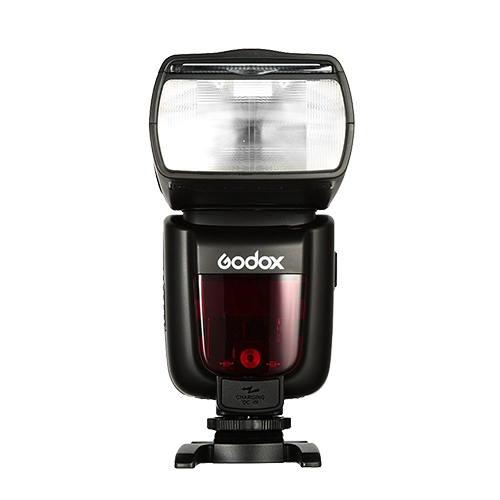 These flashes will outperform far more expensive name-brand flashes. These flashes are also compatible with the radio transmitters displayed a little further down the page. This strobe is good for in-studio work or on-location work where you want to light your subject in bright, sunny circumstances. 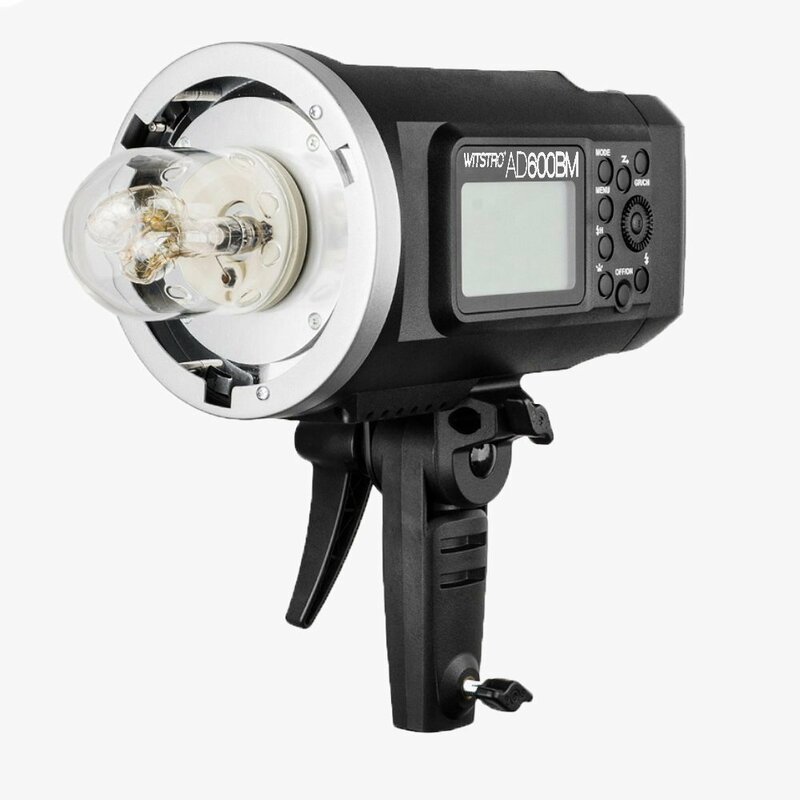 This light features High-Speed Sync for use when shooting with a shutter speed over 1/200 and a robust Guide no. 87. 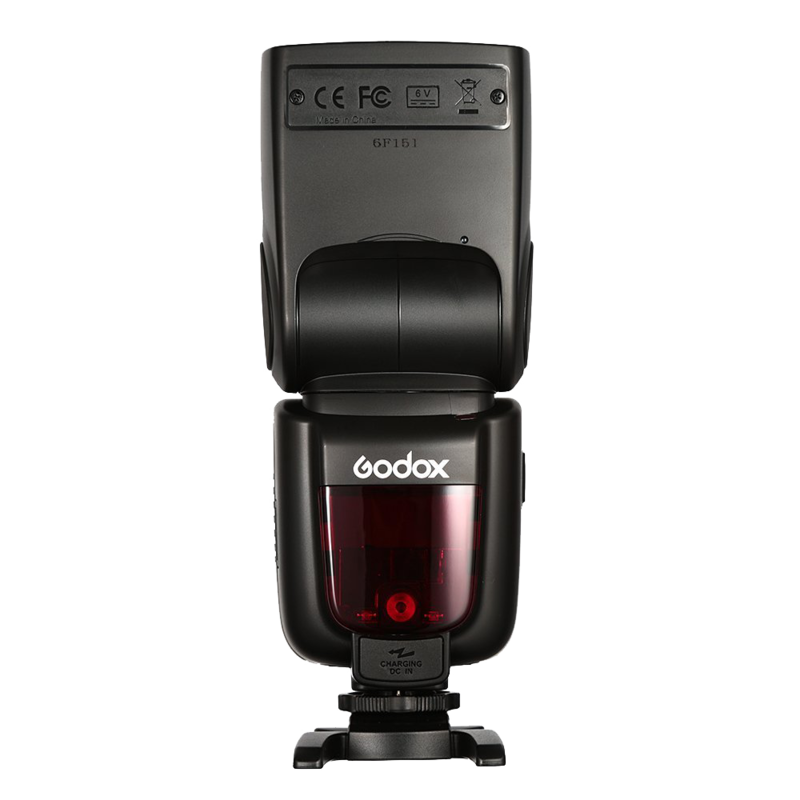 This flash is TTL ready as well, which means you can use this light without needing to set the camera to manual mode, perfect for someone in a hurry or someone new to studio lighting. This strobe is entirely wireless, using a powerful lithium-ion battery that delivers 500 full-power pops before needing to be recharged. The strobes above for Nikon and Canon comes with the triggers for the camera, and therefore you do not need to purchase them separately. The Sony strobe will need the trigger purchased separately. This strobe features a Bowens mount, so make sure to purchase modifiers that support that specific mount. 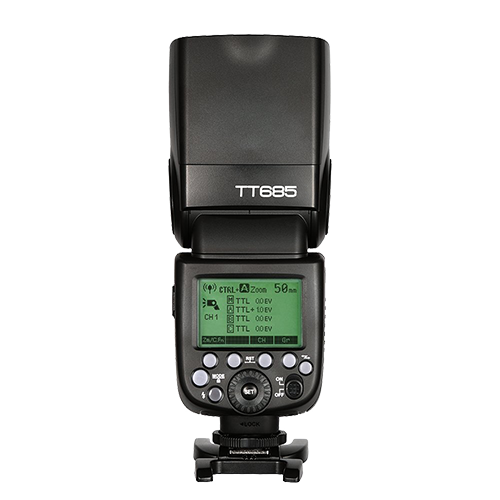 These wireless triggers work with any of the flashes and strobes listed on this page. This means you can begin to explore the world of off-camera flash if you haven’t already. 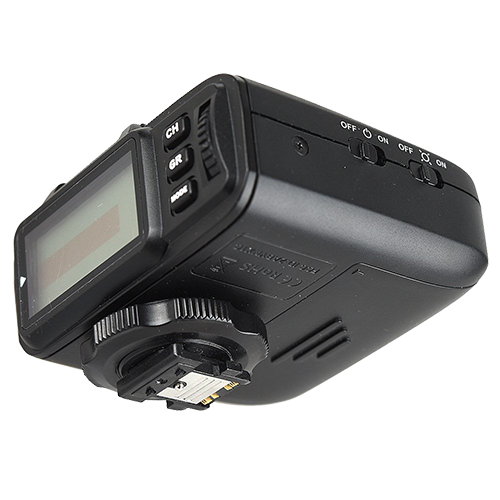 Place this trigger on the hot shoe of your camera, set the flash or strobe as a slave unit plus TTL, and you are ready to start shooting with off-camera lighting. It really is just that easy. These triggers use radio waves so they can get much further away from the camera, over 100 feet. Plus, they do not require line of sight, so the light can be placed wherever you need it. If you are looking to get into off-camera flash, these are the triggers you need. 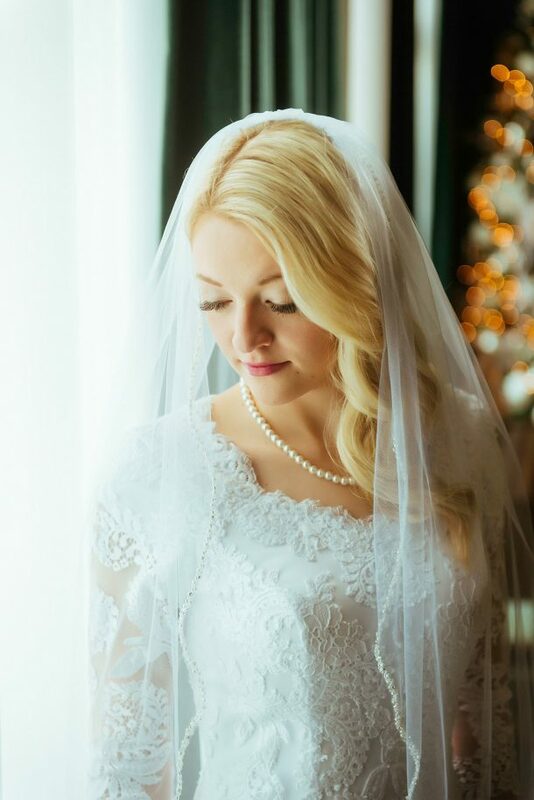 Below are a few lighting accessories to get your started with off-camera lighting. 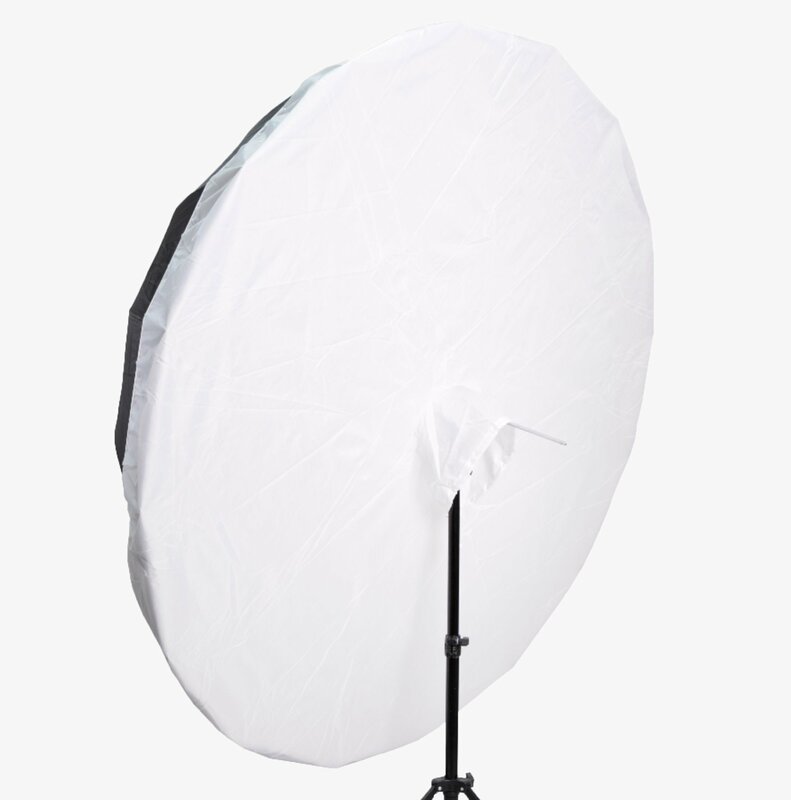 This is the exact 65″ large umbrella I use for large indoor group shots. Careful using this outdoors, it is big and will blow over even with the slightest breeze. Click the image to see the latest price. I love these stands! They are light, heavy-duty and strong. Plus, they snap together for easy transport if you are using a couple of them on a shoot. Whether you need a memory card, tripod for travel or a new bag. Take a look at the options below. They are products I use myself and love. 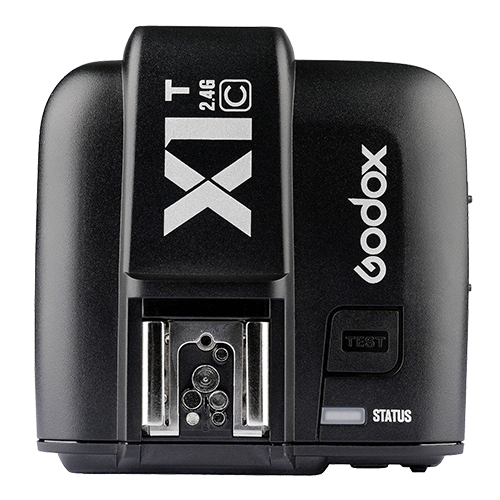 These cards are large enough capacity and fast enough for photo or video work. There are cheaper memory cards out there, but they will slow you down and are not worth the money you saved. Hold still! These supports allow you to do just that, steady the camera so you can get the shot. Tripods are excellent for photography while monopods are awesome for either photography or videography. The internet can be a big and lonely place, so it’s nice when you find a place where like-minded people can come together and help each other. Hopefully, you feel that here. I’m always happy to help, so if you have any additional questions, please don’t hesitate to ask. 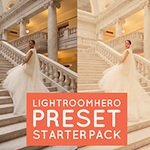 I hope you find my recommendations to be helpful as you work to become the best photographer you can be!